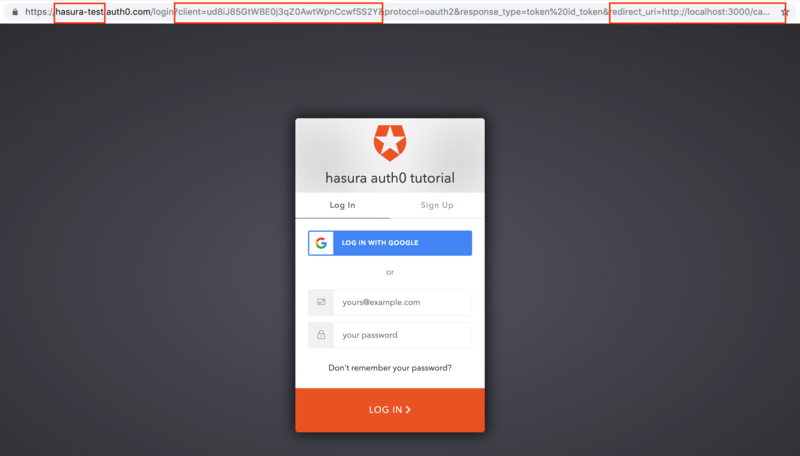 In this guide, we will walk-through on how to set up Auth0 to work with Hasura GraphQL engine. Click on the Applications menu option on the left and then click the + Create Application button. 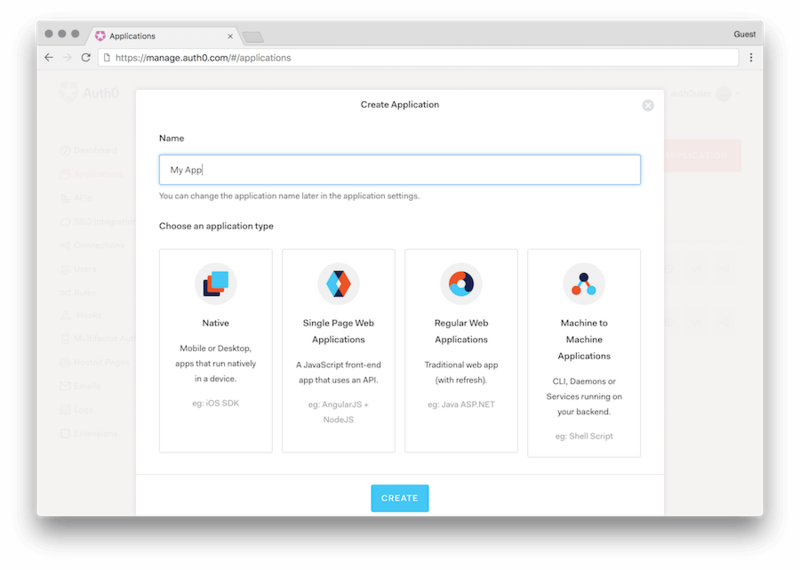 In the Create Application window, set a name for your application and select Single Page Web Applications. (Assuming your application is React/Angular/Vue etc). Replace <auth0-domain> with your auth0 app domain. Replace <client-id> with your auth0 app client id. Get your client id from app settings page on the auth0 dashboard. 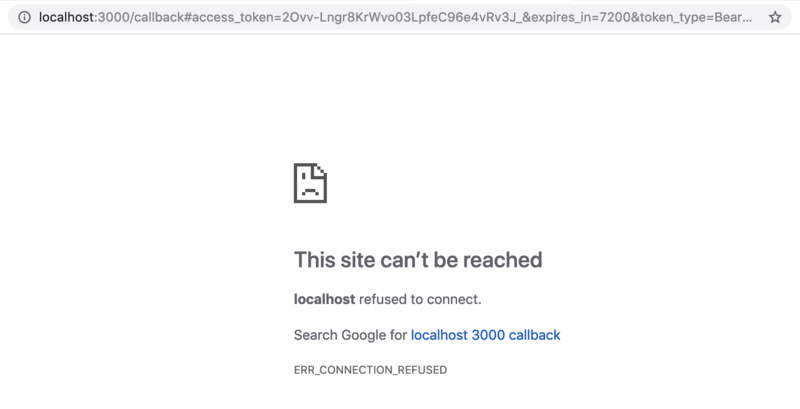 Replace callback_uri with https://localhost:3000/callback or the URL you entered above. Note that this URL doesn’t really need to exist while you are testing. Once you head to this login page you should see the auth0 login page that you can login with. After successfully logging in, you will be redirected to https://localhost:3000/callback#xxxxxxxx&id_token=yyyyyyy. This page may be a 404 if you don’t have a UI running on localhost:3000. Extract the id_token value from this URL. This is the JWT. To test this JWT, and to see if all the Hasura claims are added as per the sections above, lets test this out with jwt.io! 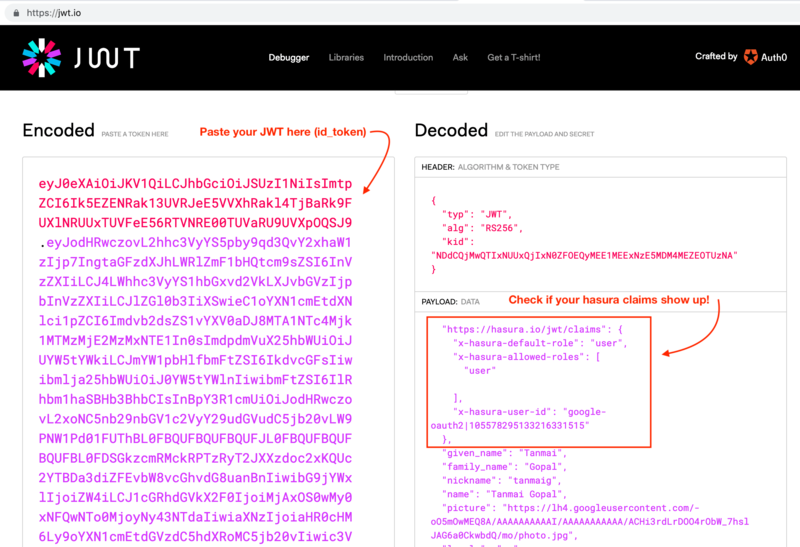 Save this JWT token value so that we can use it later to test authorization using the Hasura console. The generated config can be used in env HASURA_GRAPHQL_JWT_SECRET or --jwt-secret flag. The config generated from this page can be directly pasted in yaml files and command line arguments as it takes care of escaping new lines. Auth0 is configured and ready to be used in the application. You can now setup access control rules that will automatically get applied whenever a client makes a graphql query with the Auth0 token. Refer Access control basics for more information. To test this out, add an access control rule that uses x-hasura-user-id for the role user. 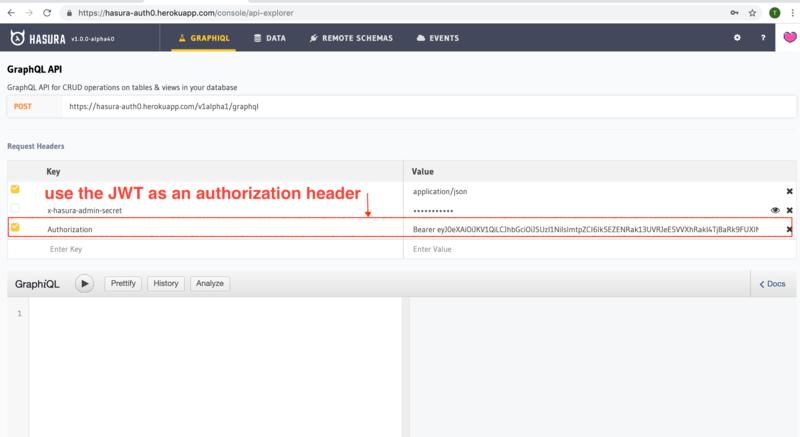 Then make a GraphQL query or a mutation, with the Authorization token from the previous step where we generated an Auth0 token. You can also use the env variable HASURA_GRAPHQL_UNAUTHORIZED_ROLE or --unauthorized-role flag to set a role for unauthorized users (e.g. anonymous). This will allow you to set permissions for users that are not logged in. The configured unauthorized role will be used whenever an access token is not present in a request to the GraphQL API. This can be useful for data that you would like anyone to be able to access and can be configured and restricted just like any other role.